Why offer the Uprise Employee Assistance Program (EAP) to your Employees? Our outcomes are holistic, sustained and company wide because the effectiveness of our online programs is backed by 10 years of research. 81% of Uprise users with low wellbeing are in the high-moderate wellbeing range within 4 weeks. 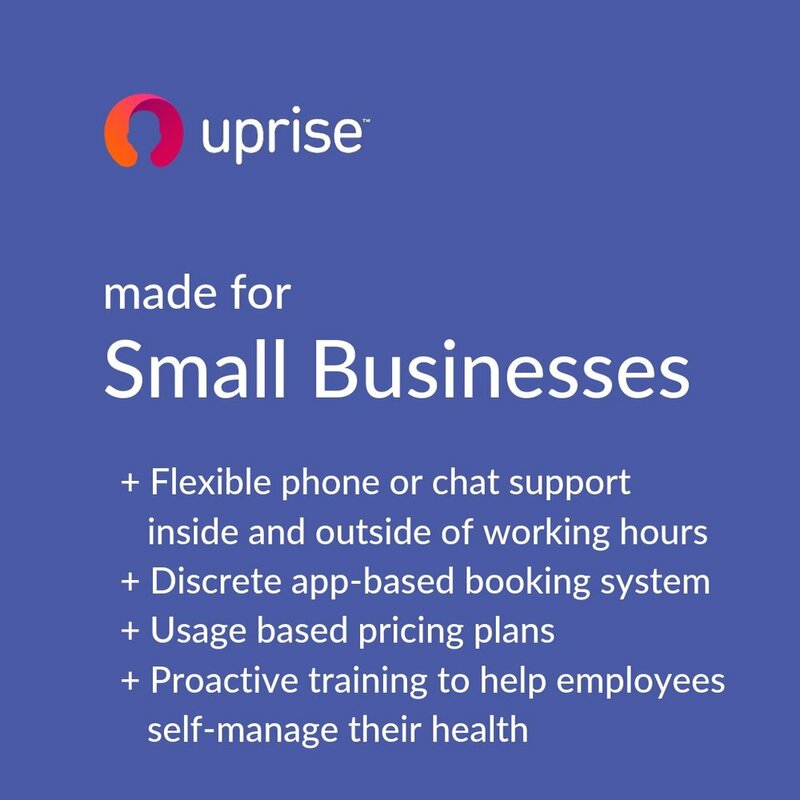 On average, Uprise users gained 2.6 hours of peak productivity per week. Clients realise $7-36 return for each dollar spent due to improvements in absenteeism, presenteeism and turnover. As well as offering full Employee Assistance (EAP) Service, Uprise offers life-changing training that helps employees learn how to self-manage their wellbeing. Through an online app, users can access pro-active and evidence based tools to build up their resilience skills before they are overwhelmed or stressed.